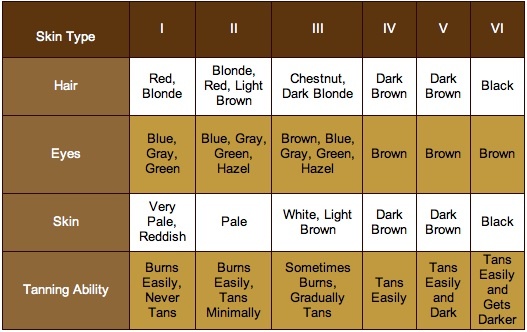 How to make a choice of the best sunless tanning lotions for yourself should ideally involve an appreciation of what your skin type is. Not all sunless tanning lotions, never mind the best, are ideal for every skin type. If you're one of those people who either prefer not to be outdoors, are sun sensitive and cannot be outdoors or simply do not have the option to be outdoors, then I'll excuse you for not choosing that as your first option to getting a tan! However, there are also many people who wish to find the best sunless tanning lotion to boost their skin's melanin levels in order to be able to go outdoors and not get a sun burn! So, one way or another, if you wish to look for the best sunless tanning lotions, I have a few things to point out. If you're new to using sunless tanning lotions, the basic accelerator is recommended. This is meant for sensitive skin and people with very pale skin. The tingle is another type you can use and is one of the most effective when it comes to tanning. This one stimulates the skin and results in a reddish color. The downside is a burning and itchy feeling for several hours however. If your first time with a bronzer, try the delayed one as you need to get used to the application methods in order to get that smooth finish. Whatever type you choose, it's always a good idea to apply this tinted lotion as evenly as possible on your skin to prevent streaking and make sure to wipe your hands off once youre finished in case they get tinted! A dead giveaway to a 'false tan', unless you're cool about it not being 'real'. For an overall tan look, dont forget to include your face. But be careful not to use the lotion meant for your body on your face. There are tanning lotions especially for the face which are gentler and more delicate for the sensitive skin on your face. A most important aspect if you want to find the best sunless tanning lotions are the anti-aging ingredients. Always make it a priority to pamper your skin and not cause damage to it. In the long run you will be thankful. Aloe vera, hemp seed oil and CoQ-10 are quite common ingredients today in sunless lotions that will help nourish the skin. Elements that boost the production of collagen and elastin are also vitally important, such as Hylauronic Acid. A high content of moisturizer should also be a major consideration. This helps your skin from drying as a result of tanning. Include here quality natural, organic oils such as grape seed, rosehip seed, avocado, macadamia and olive. The more natural and preferably organic the better. The less toxic chemicals the better. A tan is the result of an increased level of melanin in your skin. An alpha-melanocyte (A-MSH) stimulating hormone is created when the body is exposed to sunlight and is responsible for the development of the pigment melanin. Research is being done to create stable artificial forms of the hormone and presented as an option to tanning without the need of sunshine. This is being done with the aim of preventing skin cancer and as such challenge the best sunless tanning lotions available. A product that is in use already is called Melanotan, developed at the University of Arizona. It is an injectable, synthetic analog of the naturally occurring hormone A-MSH. The theory behind this research was to induce the body's natural pigmentary system and produce melanin or a protective tan on people's skin before UV exposure. This whole idea of sunless tanning was brought about to help with the fight against the worst kind of skin cancer - the melanoma. Doctors worldwide diagnose around 160,000 new cases of melanoma annually, which equates to 75% of skin cancer related deaths. There is also a Melanotan II, which is very similar but with a shorter peptide chain. Plus it has other functional and structural differences like allowing for passage through the blood-brain barrier, as well as causing increased libido effects. It is also significantly more effective for tanning. You have to make up the mixture yourself, which could pose hygiene issues. Storage after being made must be in a freezer, but the quality can be impaired if you freeze and unfreeze so careful stock management is imperative. You have to inject yourself, which turns me off completely, even if I get a competent friend to assist and we follow the online instructions implicitly. If you want to spend lots of time outdoors you may turn a much darker shade than you imagined as the sun's UV rays will "greatly speed up the process and increase the darkness". Your hair color may darken, as well as your facial and body hair. There are potential side effects of nausea, wheezing, sneezing, congestion, facial flushing and malaise. This is effectively because this is a foreign substance in your body and an immune system response is invoked. For all of these reasons, but mostly the last, I am not in favor of substituting any Melanotan products for the best sunless tanning lotions available. Stay natural and as pure as possible!